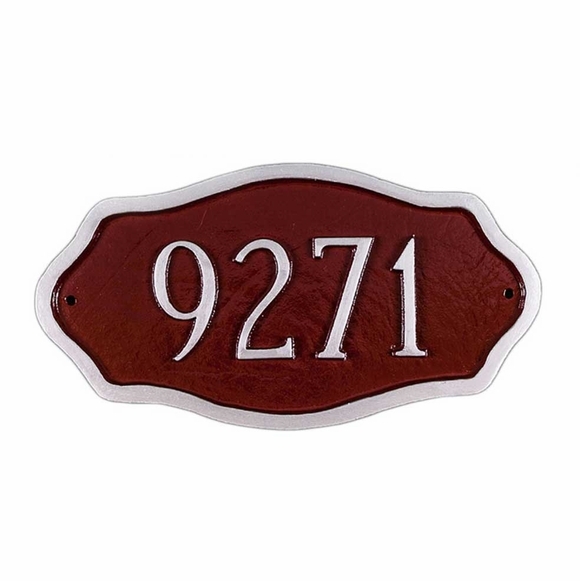 Personalized Petite Address Number Sign - - small decorative number plaque is a good size for condo doors, apartment doors, hotels, inns, office buildings, and other facilities with multiple interior doors that need numbers. Cast aluminum signs made in the USA. Petite sign for wall mount. Also suitable for interior doors and buildings with multiple exterior entry doors, for example, office parks, patio home communities, and lodging venues. Personalized with your number and color scheme selection. Dimensions: 8"W x 4.25". Holds up to four 2" characters.